Gloria Capristo (92) died peacefully in Matthews NC on Monday November 19th surrounded by her children and many grandchildren. Born on May 14,1926, in New York to Thomas and Angela Mauri. Gloria was predeceased by her loving husband Aldo, brother Frank (Phyllis – dec) and sister Mary (Silvio – dec). She is survived by her brother Robert (Lucy), her four children Leonard (Linda), Thomas (Kathleen), Geraldine and Aldo (Linda), 11 grandchildren and 6 great grandchildren, step-siblings and their spouses. 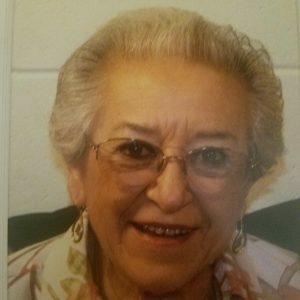 Gloria loved cooking, family gatherings, gardening, being at the beach and listening to Frank Sinatra. Memorials to honor Gloria may be made to the Alzheimer’s Association. During and after the service our family and staff will be there to support you, your family, and friends. We stand by you with strengthening words of kindness and love. After the service we will continue to help you through the grieving process as well as assisting in the financial process or VA burial benefits program.